The Upper Chattahoochee Chapter headed up the workday with help from the Savannah and Foothills chapters. However, Cliff Hood and myself were the only two from foothills. 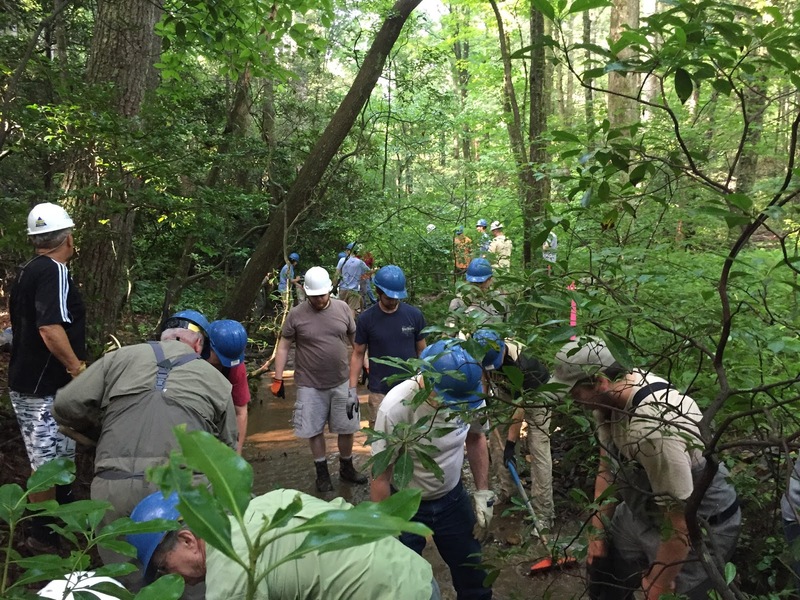 The workday consisted of building structures for habitat of the only Georgia native trout... the brook. Workday on Martin’s Branch in the Chattahoochee WMA on July 30th. 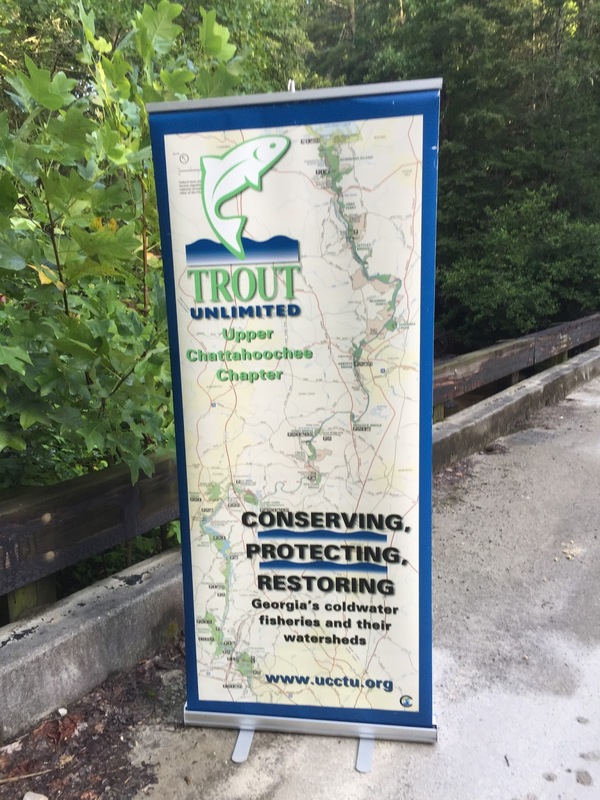 Upper Chattahoochee Chapter is the lead with Foothills committed to help. THIS COMING SATURDAY! the Chattahoochee River. We will be building and repairing in-stream structures to improve stream flow and provide habitat for brook trout. The workday is led by UCCTU and is open to anyone. Bring a friend or young relative!! A hat and work gloves are the only equipment needed. We will work with the Forest Service and DNR until about noon. Lunch and water will be provided. You might want to bring a change of clothes for the ride back. So that we know how many lunches to prepare, please register with Bill Lott at 404-735-9989 or by email at conservation@ucctu.org. From Helen GA take GA 17/75 North toward Robertstown. At Robertstown, pass Hwy 356 to Unicoi and turn left over the Chattahoochee River at the Flea Market. Just over the river, turn right onto Polar Stump Road. Follow Poplar Stump Rd. along the Chattahoochee River as it turns to gravel and enters the Chattahoochee WMA. Park at the FS 178 Bridge. It is the first bridge that crosses the river to your right. 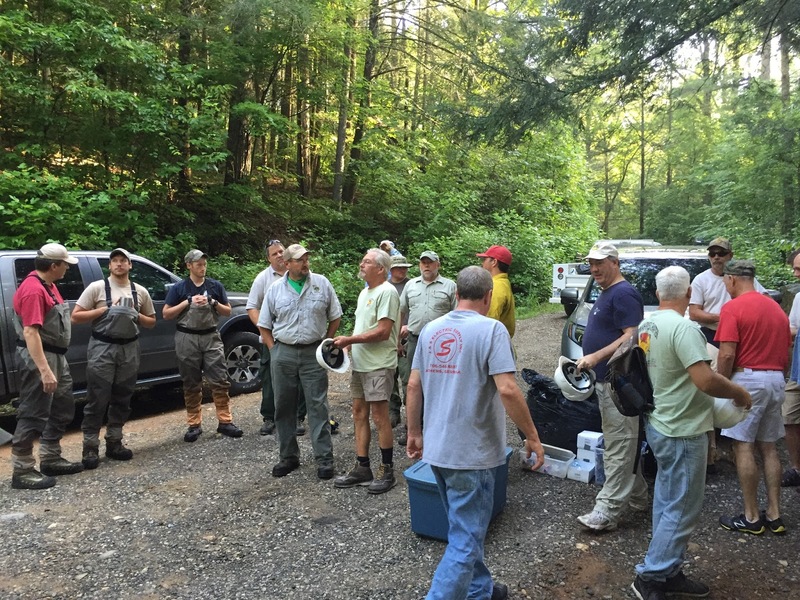 This will be a great opportunity to contribute directly to the preservation of trout habitat. We hope you will join us for some fun and camaraderie on July 30th. 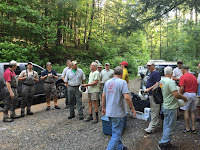 The 2nd Annual Casting for Hope Cherokee Classic held in June was a big success. The top prize winners were Patrick Clark and Ricky Ozmar, one of our own. Check out this NBC video that was broadcast last night on the "Healing Waters" program for our vets. We have a chapter at the VA Clinic in Oakwood that meets 1st and 3rd Wednesday.... ALL VETS WELCOME!